1. 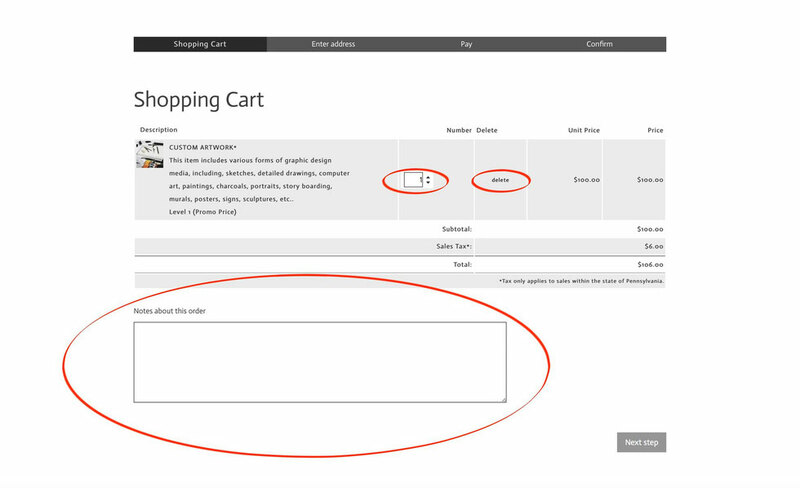 During Checkout, ensure that the correct Number of items is displayed. To increase or decrease the number of the desired item, enter the number manually, or use the up or down arrow beside the box to increase or decrease the number. To remove the item from your cart, select delete. Enter any special instructions or notes related to your order in the Notes about this order box. 2. 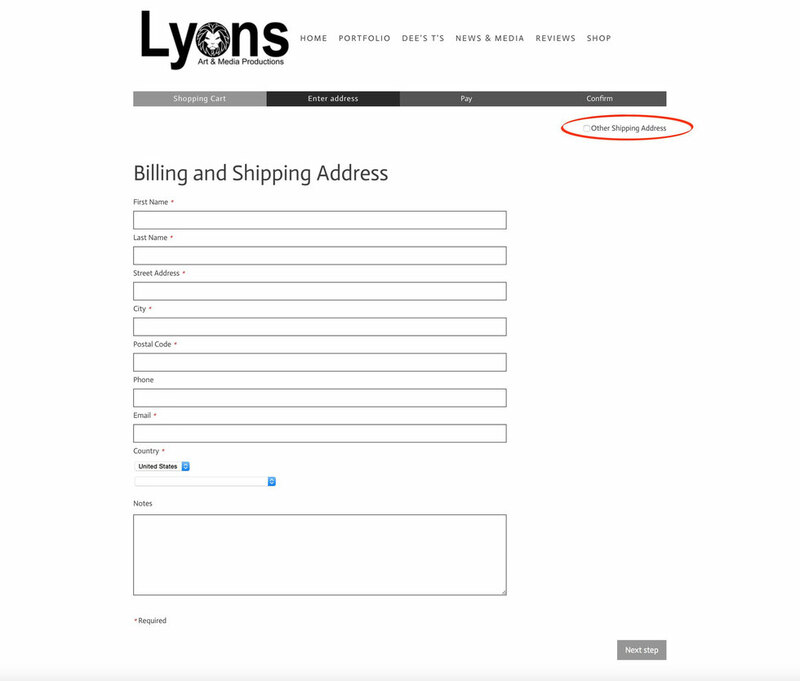 Enter your Billing and Shipping Address information. Fill out all of the fields marked with a red asterisk (*). If your Shipping Address is different from your Billing Address, check off the Other Shipping Address box. Select the Next Step button when all of the necessary information has been entered. 3. 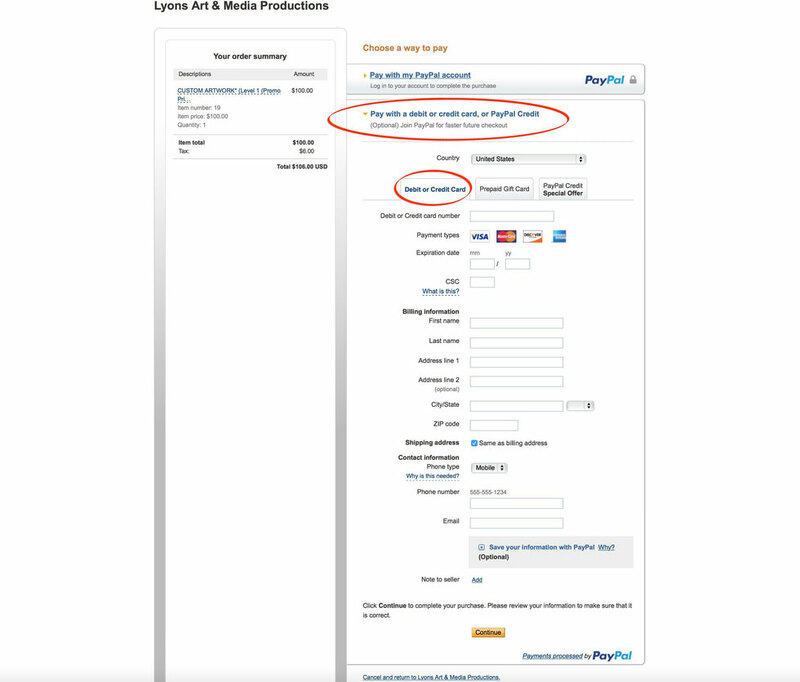 Chose the PayPal option. Please note that this option also includes credit card, debit card, and bank transfer transactions. 4. Click on the Pay with Debit or Credit Card button. 5. 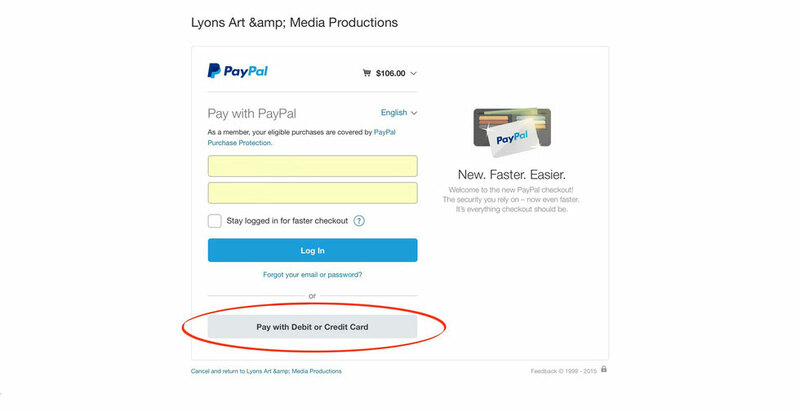 Enter the applicable Cardholder's Information under the Pay with a debit or credit card, or PayPal Credit option, then click on the Continue button. Make sure you are on the Debit or Credit Card tab.